The first signs of aging varies for every woman, however, typically the 30’s are the starting point. Small lines start to show around the mouth and eyes and the skin starts to lose its perfect fullness and rosy color. It is both obvious and refreshing when a face cream works wonders and brings that youthfulness back to a thirty year old face. Below are some of the best face creams for those who are beginning to show the first signs of aging. 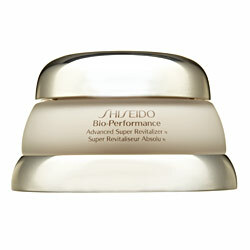 This cream is a perfect balance of moisture replenishing without being greasy. 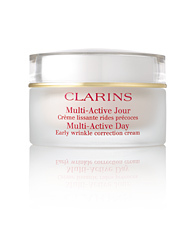 Clarins Multi-Active day cream is made with light reflecting pigments to give a rosy glow to the skin and antioxidants including an ingredient made from oranges to fight off signs of aging . A great skin cream that manages to give you super hydrating ingredients like hyaluronic acid without feeling heavy and greasy. The best part about this cream is that is great for night and day. It is balanced to give you a deep penetrating moisture for the night, but lightweight enough to wear under makeup. 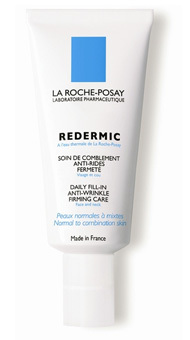 La Roche-Posay skin care is well respected by both Dermatologists and beauty critics in general. Their Redermic line is perfect for 30-somethings with early signs of aging who are looking for a skin care that fits their needs. La Roche-Posay’s Anti-Wrinkle cream is packed with great ingredients like Vitamin C and Hyaluronic Acid and is made for different skin types like dry or normal and combination skin.